For all you pizza people out there, this is a great read from Pizza Today. 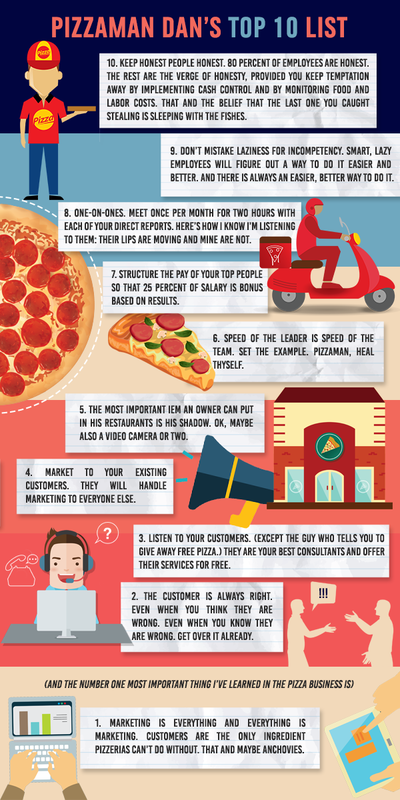 PizzaMan Dan’s 10 most important things he has learned in the Pizza business. I personally like anchovies on my pizza, but he absolutely correct when it comes to marketing! If you are ready to dive into digital marketing for your pizza business, check out this quick pizza marketing video to I put together that shows you some of the cool things we can help you with on Facebook.